It is almost a year since Jonathan Trott left England's tour of Australia, 12 months that have been incredibly turbulent on and off the pitch for the national side. His inclusion in the England Lions squad for the January tour of South Africa is great news, coming on the back of what have perhaps been England's most difficult few weeks of the entire period. Trott has fought very hard to get into this position. When he first left Australia with what were later clarified as anxiety issues, many thought that his England career was over. When his first attempt at a comeback was aborted in April, I was told by someone close to the Warwickshire batsman that the next step would be a quiet return playing some club cricket in South Africa. The right-hander will play in the country of his birth, but on merit after receiving recognition from the selectors as a result of a very strong second part of the summer that saw him accumulate 628 first-class runs and average 54.22 as Warwickshire reached the final of the One-Day Cup. Because of his South African roots and the decision for Trott to only be on tour for one three-day warm-up match and two first-class four-day games against South Africa A, this trip should not hold many difficulties for him. He will also have the help of Andy Flower, who was in charge of England in Australia and will be working with the Lions in South Africa. The experience in Australia will have taught Flower how to spot any problems that Trott may encounter, while I am sure the Zimbabwean will make it absolutely clear that the player must report any concerns he has. Having taken the incredibly difficult decision to go public with his problems on leaving Australia, Trott no longer has to operate in secret, or fear embarrassment. Similarly, Flower knows he can keep a close eye on Trott without the worry of over-imposing himself. Through all of this, representing England again will be on Trott's mind. Since he last played international cricket, Alastair Cook's side have moved on, with younger players like Gary Ballance and Joe Root doing very well, but there is still room for the 33-year-old's experience, especially with 17 Test matches scheduled over the next year or so. In cricketing terms, the selectors may want to see Trott deal with some hostile fast bowling before they consider bringing him back, especially as it was an onslaught from Mitchell Johnson that exposed his anxiety issues to those watching from a distance. There is also the question of where Trott would fit in to the current Test side, but that simply adds an extra layer of intrigue to this Lions tour. Trott's old spot of number three has been filled very successfully by Ballance, while Ian Bell and Root both played well at numbers four and five. However, Trott has long been talked of as a potential opener and there is a place at the top order available alongside Alastair Cook. In seven Test matches over the summer, Sam Robson failed to make that place his own and the Middlesex man is battling with Yorkshire pair Adam Lyth and Alex Lees, as all three join Trott on the tour of South Africa. At the moment, though, Trott should just play, without the thinking about the future, spots in the Test side, or a potential meeting with Australia next summer. There any number of reasons why a spot could come available in the England line-up - injuries, a loss of form, a change of balance to the team - but that is secondary to his Lions call-up less a year after his international career looked to be over. That it is not is great credit to him and to Warwickshire. 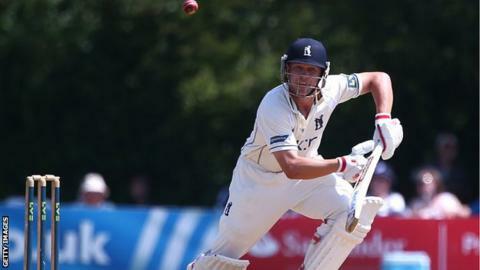 This return to the England fold is the result of an approach that has seen Trott left alone to find his own way. It must continue through the Lions tour to South Africa and beyond.